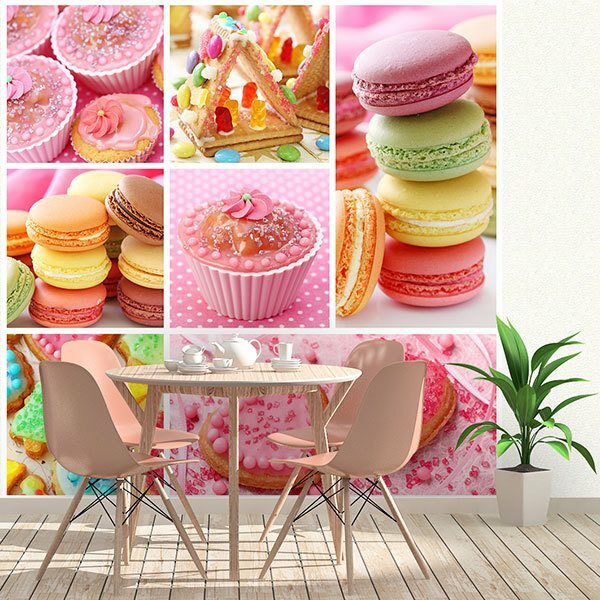 Wall mural Collage Cupcakes. 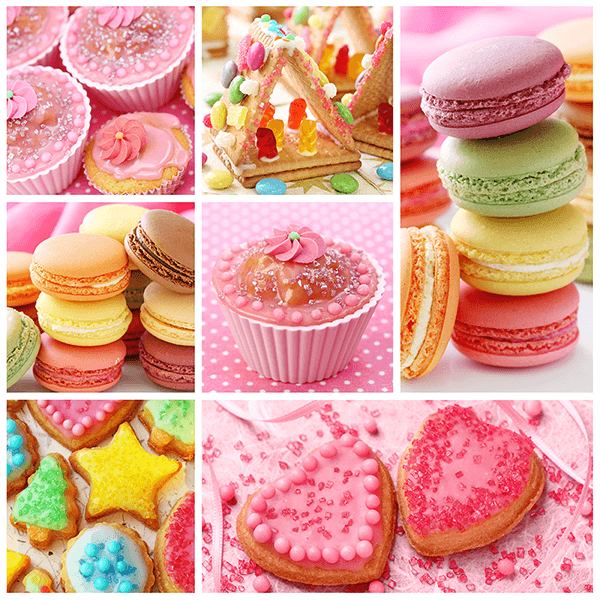 Fun assembly of pictures of small cakes, cookies and cupcakes in very colorful colors. 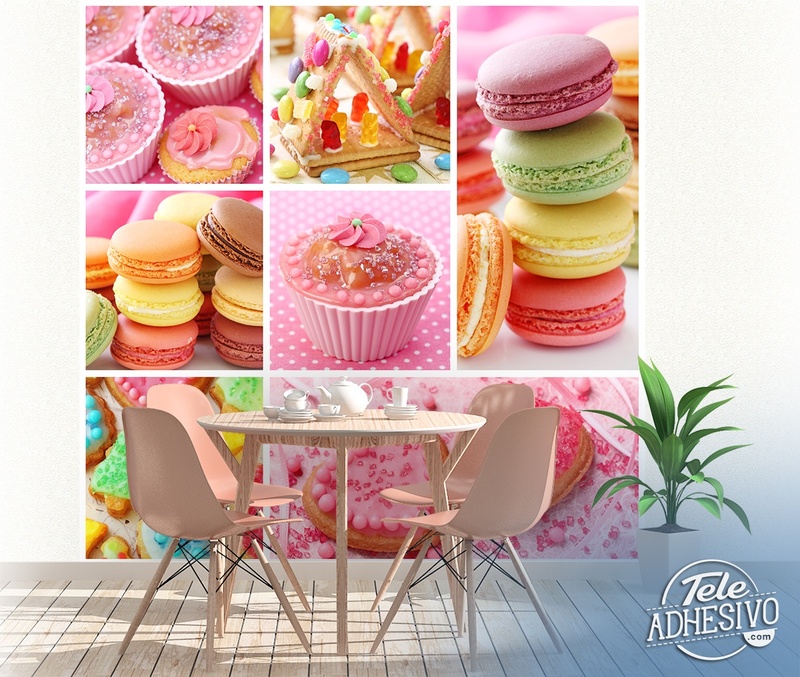 Fantastic combination of colors and shapes related to cakes and desserts. 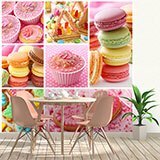 Ideal option to decorate any business in the sector or the wall of a kitchen.